Collins MaxCare Professional cleaning service has been cleaning carpet, tile and grout, upholstery and area rugs, residentially and commercially since 1998. We are a service of Collins & Sons Flooring America, family owned and operated since 1944 in Swansea, IL. Water Damage St Louis | A+ BBB rated, locally company serving you for over 25 years. 24/7 live calls, on our way in 30 minutes or less. Free estimates, direct insurance billing. flood damage, sewage cleanup, water cleanup Century Restoration offers water restoration, fire restoration, and mold remediation services and is located in St. Louis, Missouri. We are known for our reputation of honesty, professionalism, and quality workmanship. Our pledge is to establish lasting relationships with our customers by exceeding their expectations through exceptional performance by every member of our restoration team. With more than 25 years of experience serving the Greater St. Louis area, we pride ourselves on doing things the right way; safe, high-quality, cost-effective hard work. Century Restoration utilizes state-of-the-art equipment, and we hold ourselves to the highest industry standards. Your safety and investment are our top priority. Call us today for your restoration needs. We will be honored to serve you. As a trusted leader in the restoration industry, SERVPRO of Franklin County provides 24-hour emergency service and is dedicated to being faster to any size disaster. We can respond immediately to your emergency and have the expertise to handle your restoration or cleaning needs. 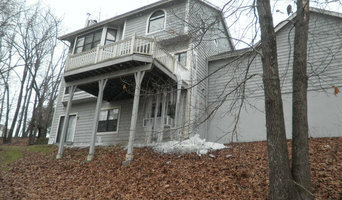 Pride Cleaning & Restoration continues to be a leader in Water Damage Repair in St. Louis. We specialize in Water Damage Restoration. Our water damage technicians are fully trained and have years of onsite experience. Since 1987, Jim Seubert and his team have provided around the clock service to the St. Louis metropolitan area. Pride Cleaning & Restoration has an A+ BBB rating, endless client and industry referrals and associations with countless local and industry organizations such as the IICRC, RIA / ASCR, and HBA. Most importantly, Pride Cleaning and Restoration values its relationship with you, the customer. Call us today, we would love to earn your business! Professional carpet and upholstery cleaning services specializing in getting out tough carpet stains from pets, pet urine or just everyday traffic and spills. When you are in need of a professional carpet cleaning, call the experts at Absolute Carpet Care. We are a family owned and operated company that strives to provide excellent customer service to all of our business and residential clients in and around Wentzville, MO. Carpet Care Plus is the premiere carpet cleaning provider for O’Fallon since 2001. O’Fallon residents know they can count on Carpet Care Plus to provide the most outstanding service for all of their wall to wall carpets, furniture, and oriental area Rugs. 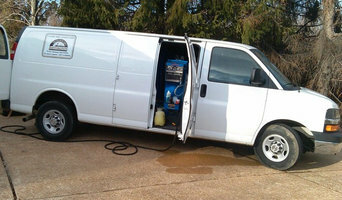 O’Fallon Commercial clients count on Carpet Care Plus to maintain their carpets through regularly schedule cleanings. O’Fallon businesses also count on us to clean furniture, dividers and walk-off mats to provide O’Fallon Businesses with clean, sanitized and spot free appearances that add years to the life of their fibers. 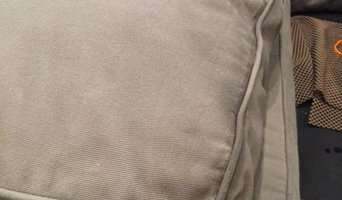 Upholstery cleaning services should not only rid your sofa or chair of visible dirt, but remove odors and debris that settle in fabrics over time, as well as protect them from future stains and damage. Having your upholstery cleaned will not only make it look better, but your household will breathe better — all of the things you can’t see, like dust, dander and pollen, are living in your furniture just waiting to fly into the air every time you sit down. Hiring the right upholstery cleaners in St Louis, MO is important to ensuring your furniture gets the special attention it needs, since not all fabrics require the same care. Read on to learn about the different methods and how to get the most from your local St Louis, MO furniture cleaners. Yes. Cleaning upholstery is not a one-size-fits-all process. Each type of fabric can call for a slightly different method, which a good upholstery cleaner in St Louis, MO should have expert knowledge of. Certain professionals specialize in natural or eco-friendly furniture cleaning solutions, so if this is important to you then make sure to check their certifications to ensure a safe home for you and your loved ones. Some upholstery cleaners in St Louis, MO provide a pick-up and drop-off service in order to properly clean your furniture in their own shop. Ask about this option if you don’t want the disruption of cleaners in your home for part of a day, or the temptation of using a clean sofa before it’s completely dry. 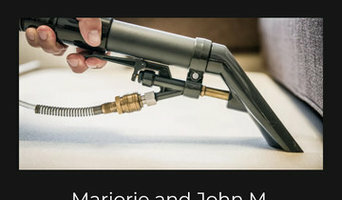 What do I need to do to prepare for an upholstery cleaner to visit my St Louis, MO home? The general recommendation is to have your upholstery cleaned every 12 to 24 months depending on the type of fabric and frequency of use. Having kids, pets and carpet can increase the frequency of needed furniture cleanings. If you can do your part to keep your upholstered furniture clean between professional visits, the work they do will be much more effective — they’re there to deeply clean upholstery and restore your pieces, not wipe away crumbs and dust. If you know you plan to have your couch cleaned soon, think about what other furniture you could do at the same time, such as chairs, upholstered beds or mattresses; even most curtains and drapes can be cleaned using the same methods. Also, know that you may need to stay off of the cleaned upholstery for a few hours, sometimes overnight or a full 24 hours, to let it completely dry, but your St Louis, MO upholstery cleaning service will let you know exactly how long.